The designer of Musesa creations in actually an architect. Monica Frangulea has a great professional experience and an international influenced fashion sense. Monica Frangulea is a well-traveled Romanian architect and designer based in Canada with a great professional experience and an international influenced fashion sense and the ability to speak several languages. Monica is an active architect with international portfolio and rewards. Her practice has included housing and private residences, museums, public spaces, municipal squares, commercial buildings and such major civic commissions as sport arenas and city halls in Greece, Switzerland, Cyprus, Romania, Belgium and Canada. Her Master Degree in Architectural Lighting led to major lighting projects as well, along with interior design projects, landscaping projects, furniture and industrial design projects. In 1995 Monica started to collaborate with the Theatre and Film Academy in Bucharest doing scenography and costume design. In 1997, still a student, she was hired as a fashion couch & image consultant by a famous Canadian human resources company in Bucharest (HRD) for their training classes of image and communication improvement of the management teams for the multinational corporation they collaborated with. She was also requested a few months after to work in the same capacity for the most prestigious modelling school in Romania - Prince D'Armeny, teaching fashion & style to quite a few generations of national and international models (from 1998 to 2000). In 2000 she received "WOMEN WITH THE MOST SUCCESSFUL CAREERS" award from the COSMOPOLITAN Magazine. 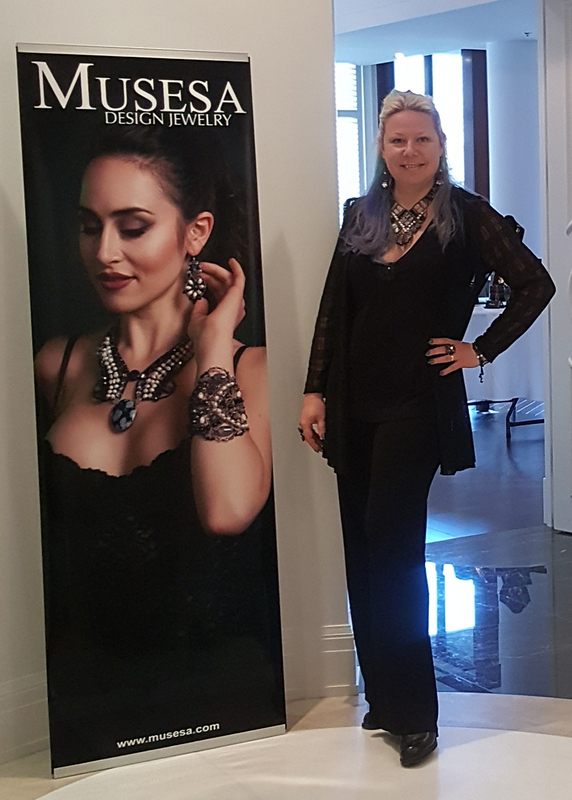 Since 2000 as she graduated the Architecture & Urbanism University, Monica has been a renown international influence in architecture & design and the renewal of eclectic and contemporary architectural aesthetics through her rich body of work, forms the birth of Musesa Design Jewelry. Each piece is meticulously handcrafted to bring the most unique signature and forms into the culture of jewelry. She is fluent in English, French, Italian, Greek and Romanian. Musesa was created in 2012 in Rhodes Island - GREECE.